IMM Cologne started yesterday, the international furnishing fair will be a opportunity to see some of the best contemporary design brands and their exclusive products. But IMM Cologne is more than a design fair it will be the central meeting point for design lovers, interior designers, interior architects, decorators, business responsables and artists from all over the world. It is undoubtedly one of the most important markets in January 2013. IMM Cologne continues to build on its position as the sector’s central business platform. The outstanding infrastracture in the state-of-the-art fair halls and a broad range of services provide a good basis for your success at the fair. Take advantage of this opportunity for good discussions and concrete business deals. It takes place already between 14 and 20th January: see what the best exhibitors will showcase. “Vitra has chosen a presence at the imm 2013 in the new range Pure Edition. It is about new, creative forms of presentation and inspiration. The format of open, inviting booth structures with additional installations underlines this claim and promises an exciting, varied atmospheres with high appeal to visitors. Vitra supports the approach of Koelnmesse and will help to ensure that the format is “conclusively established, commented Rudolf Putz, CEO of Vitra. Gubi 5 chair is one of the best examples of the modern design of Gubi. The Gubi Chair is the first furniture design to be based on the innovative technique of moulding three-dimensional veneer. The 3-D design gives the chair a comfortable seat and sense of lightness. Peder Hvitfeldt Stræde 4, 3. Sinatra standing lamp has a unique sculptural shape. This vintage lamp’s structure is handmade in brass and the lampshades in aluminium. 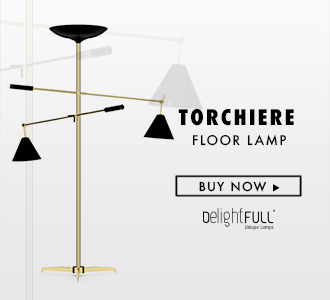 It’s a versatile lamp which gives a sophisticated and joyful ambiance to any living room or bedroom. A style icon of the fifties and sixties.